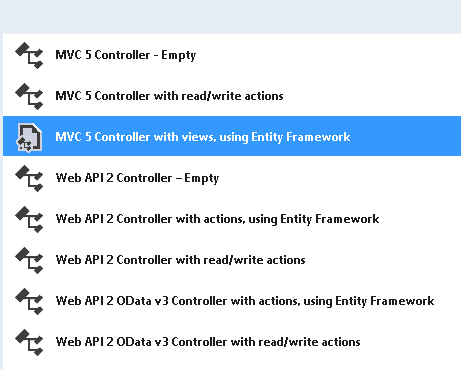 In this tutorial let us build an example application using ASP.NET MVC code first approach of entity framework. In our last tutorial, we have created the Code first example application, which is a console application. It is very important that you read that Tutorial first, before continuing with this Tutorial. 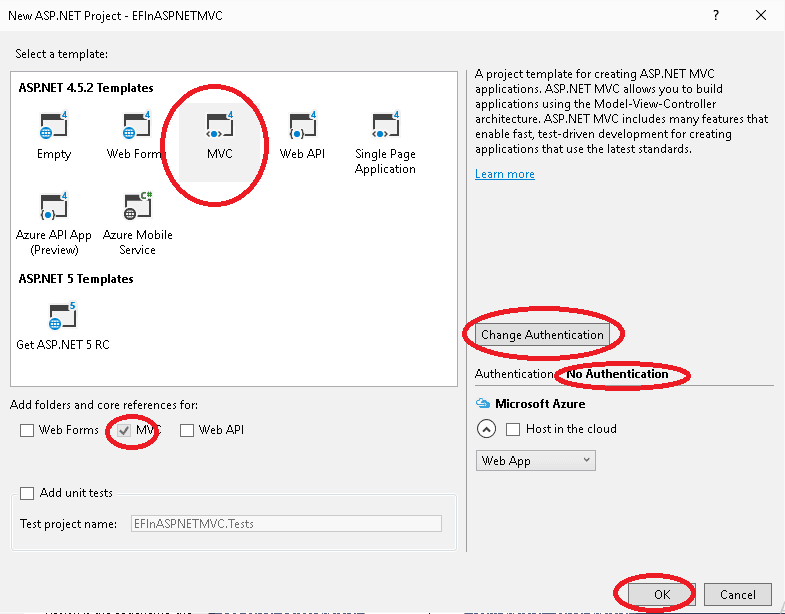 We are going to use the same user domain class and concepts show you how to build a simple CRUD application using ASP.NET MVC. Entity Framework is an ORM Framework. If you are new to Entity Framework you can find here the complete list of Tutorial on Entity Framework. The above will install the default template. The next step is to create the Entity Data Model (EDM). Copy the user class which we created in the last tutorial. Now let us build a simple UI Screen for our user table. The Visual studio scaffolding framework does an excellent job of creating CRUD operations based on our model classes. Run the application. Click on the user’s menu. Add the new users using the Create new user link. The Code First generates the database in App_data folder. 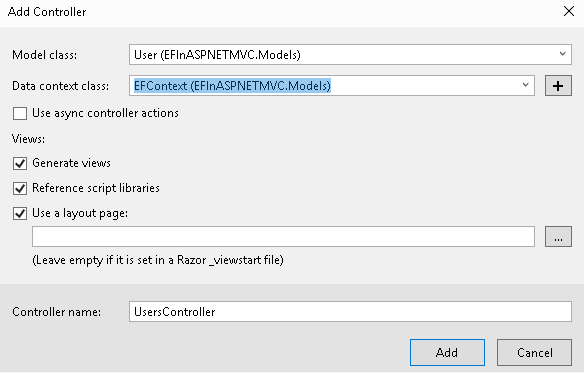 The name of the database is “EFInASPNETMVC.Models.EFContext” which is the fully qualified name of our DBContext class. The ASP.MVC Does a good job of creating CRUD Operation by scaffolding the model class. Let us look at the generated code. Goto Controller folder and open the UsersController. The Index Action method returns the list of Users by invoking the ToList method of the Users DbSet. The Details Actions method uses the Find method to retrieve the selected User from the database and converts it into instance of the user entity. In the last tutorial, we used the console application to show you how to use code first in an application. 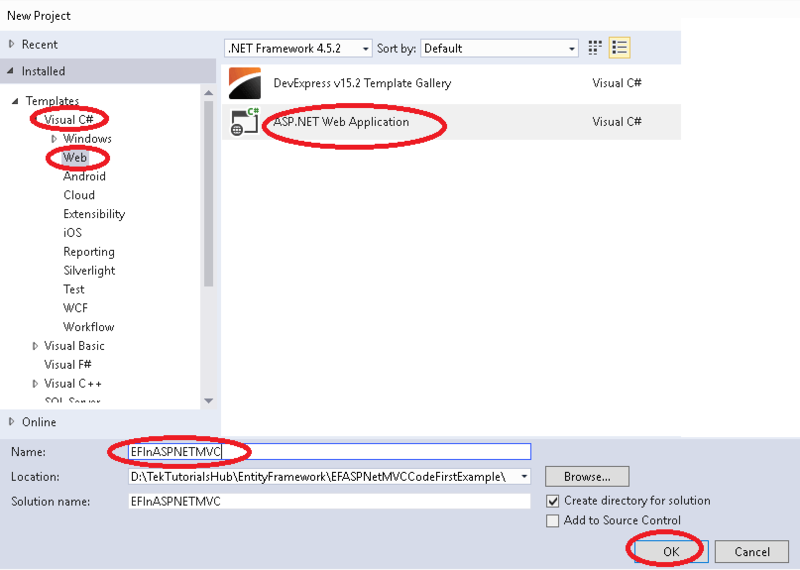 In this tutorial, we demonstrated how to build a Sample ASP.NET MVC application using the code first approach. In the next tutorial let us look at how to configure the database in Code first approach. If you guys can do an ASP.NET Core walk through, that would be good. I am in the process of creating complete tutorial on ASP.NET Core.